Great review! I purchased and enjoyed some of the 2007 harvest of this tea, but was a little disappointed in the brewing durability. How long did this pot go for you? I could be persuaded to buy more of this tea if it were a bit more patient. 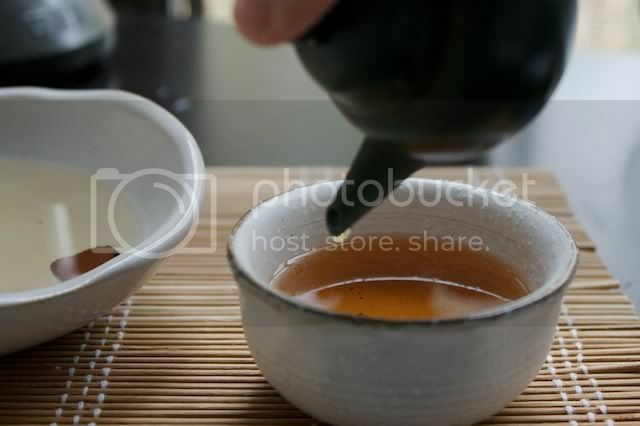 Wu Yi Mountain teas generally should occupy 50% of your teapot prior to brewing. Each steeping should be no more than 20 seconds for the first 5 or 6, then increasing to maybe 30-40 seconds. 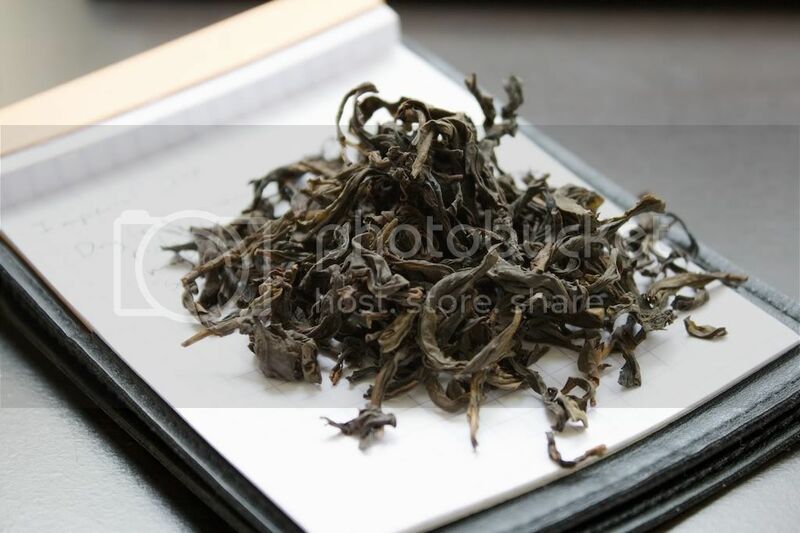 I love Wu Yi teas, and am looking forward to picking up some Da Hong Pao soon. Thanks! It wasn't the most durable, but for a new DHP it wasn't bad, probably 7 or 8 good infusions. No offense, but I hate the word "should" when it comes to tea. I do not use any standard times when I brew, I react to what the tea tells me it needs. I have gotten excellent results with anywhere from 1/4 full to 3/4 full depending on the tea. Thank you for the advice though, I'm sure you had good intentions when you gave it. The reason I didn't use as much leaf as normal here is that the sample size was fairly small, but I didn't want to say that and make people think Adrian wasn't generous, as this is an extremely expensive tea. No offence taken. I used 'should' due to several trials undertaken at various instances in time, and the proportions and times indicated were intended as a starting point or reference point when it comes to my experience with this particular tea type. It's just that short sharp infusions with more leaves, less room in the pot would appear to help intensify aromas, and tease out a bit more patience. As the leaves unfurl, the tighter packed conditions mentioned also help concentrate flavour without having to extend brewing time. I'm sorry if this all sounds clinical, but it really isn't. 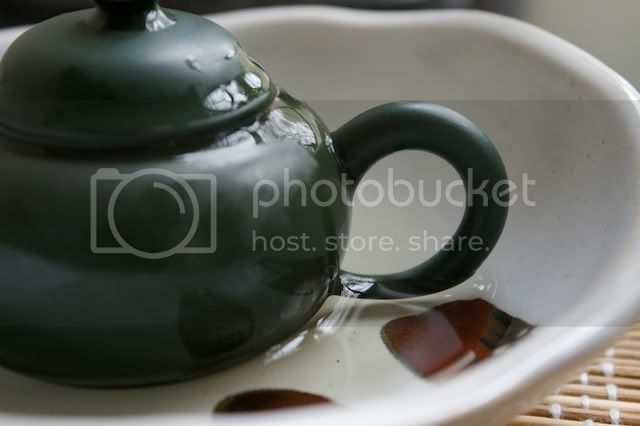 Pot after pot, brew after brew, some things just become habit. I find it easier to start from a known quantum and adjust from there. Given some of the things you've mentioned in your post, it would be nice to see how this DHP behaves in a few years.